Doha, Qatar (AETOSWire): Her Excellency Sheikha Hind bint Hamad Al Thani, Vice Chairperson and CEO of Qatar Foundation (QF), attended the closing ceremony of the fifth edition of the International Universities Arabic Debating Championship (IUDC) organized by QatarDebate, a member of QF. 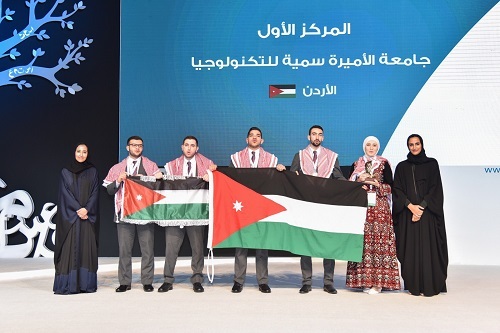 The championship – held under the patronage of Her Excellency Sheikha Hind bint Hamad Al Thani – took place at Qatar National Convention Centre from March 16-20, 2019, and included 107 teams from 51 Arab and non-Arab countries. During the ceremony, Her Excellency Sheikha Hind presented the winners with their awards. The debate team from Princess Sumaya University for Technology in Jordan took first place in this year’s edition of IUDC. The boys’ team from Qatar University was awarded second place, while the team from the University of Amar Telidji in Algeria was awarded third place. In her speech at the closing ceremony, Dr. Hayat Abdullah Maarafi, Executive Director of QatarDebate, welcomed guests to the event, expressing her pleasure at seeing such a large crowd “brought together by the Arabic language to celebrate their diversity and passion for debate.” “This championship is a way to protect and preserve the Arabic language,” Dr. Maarafi said. She also asked the participants to take a pledge that they will protect the Arabic language regardless of which country they are from. 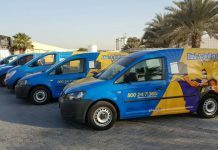 The successful conclusion of the championship is a testament to how Arab nations are progressing forward with their rich language and the ability to communicate. She said the Arabic language is the language of intellect, elegance, and dignity. Additionally, while addressing the closing ceremony, Dr. Maarafi thanked Her Excellency Sheikha Hind, in the presence of Mrs. Machaille Al-Naimi, President of Community Development, QF; Elite Academy members; QatarDebate ambassadors; local and international judges; volunteers; and members of the media – including Reuters – as well as Al Jazeera Media Network for serving as the media partner, and Qatar Airways for being the official carrier.